Don’t worry, I won’t hold you to it. But if you’re a guy who grew up in America, chances are you pledged those words at some point and your little eager beaver heart really meant it. Some pretty important people in our country’s history took the Oath, too, like Martin Luther King, Jr., Neil Armstrong and Buzz Aldrin, John F. Kennedy and four other U.S. Presidents, and Bill Gates. MJ was a Boy Scout, too. 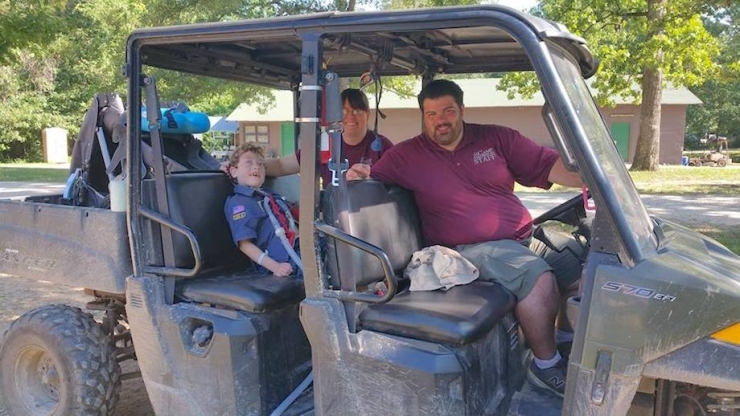 Scouts who make it past Webelos (whatever that means) get into the good stuff, the real “helping other people at all times” stuff, like helping old ladies cross the street and spawning racial equality. Liam may well be on that list of heavyweights one day – he’s been paving the way for his fellow man since the day he was born. Or thereabouts. “When you get pregnant, you dream about that perfect little baby the entire time. 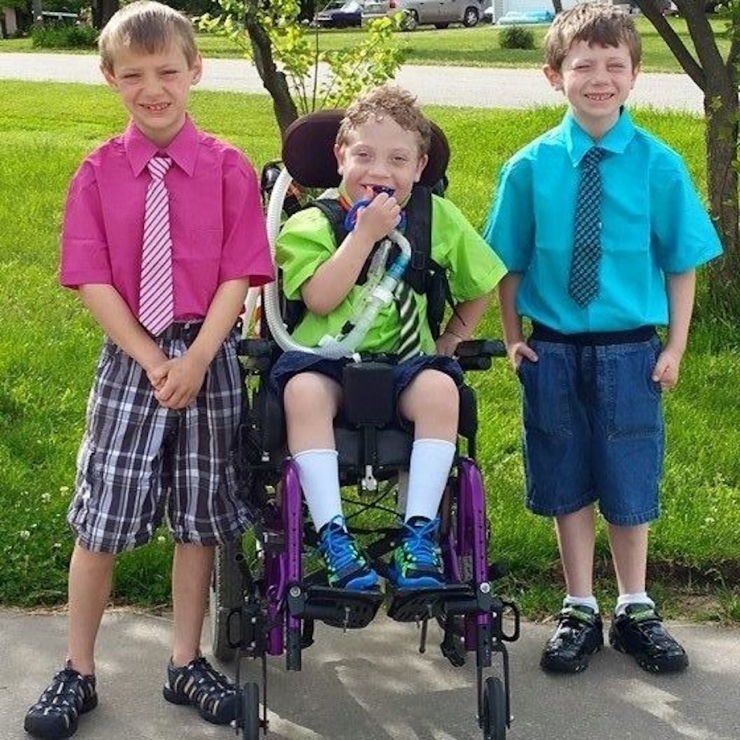 The thought that something could go wrong is so far from your mind it doesn’t seem possible,” mom Desiree explained. There were no thoughts of Liam arriving 12 weeks before he was due, or spending his first 74 days in the NICU, or finally going home, but with a prescription for anti-seizure medication in tow. 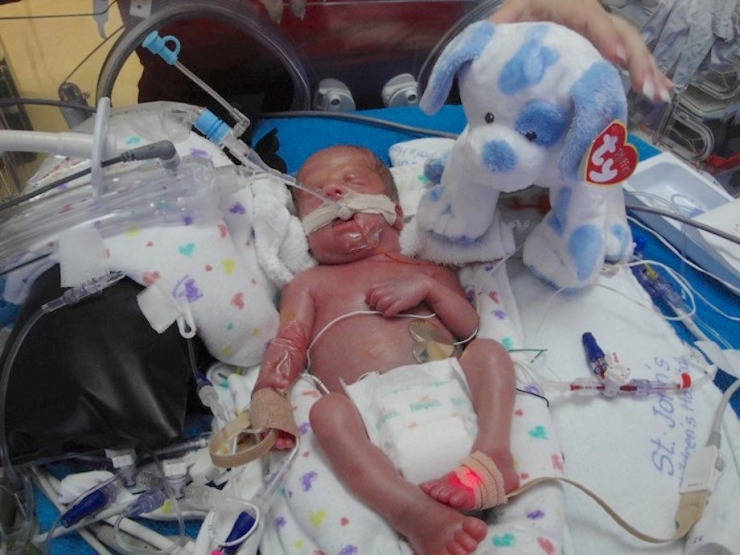 Doctors assured his worried parents he would be O.K., even with those “typical preemie seizures,” and sure enough, Liam did well. 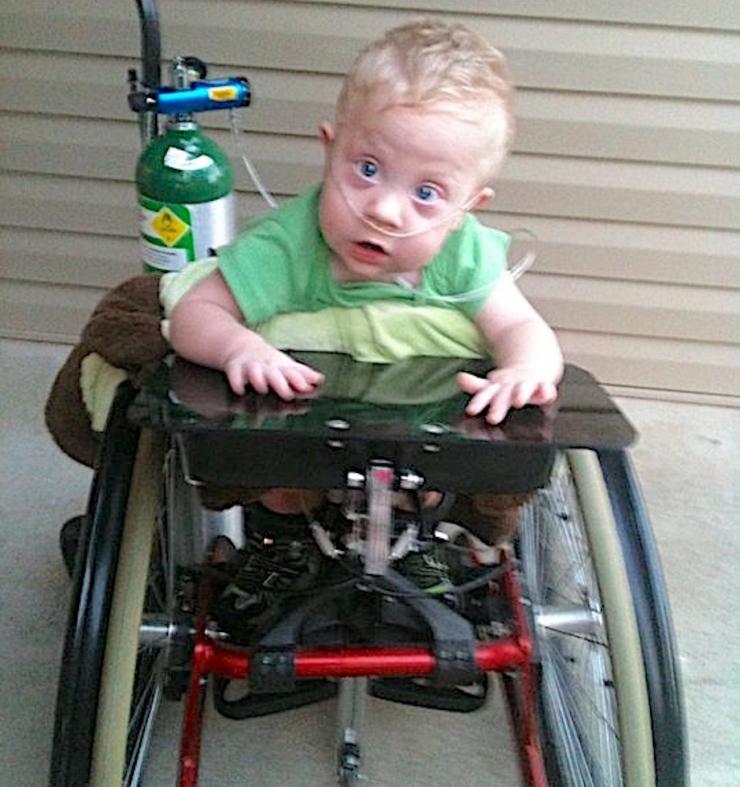 A few months later, doctors talked about weaning him off the meds, but when Liam was 10 months old, everything changed. Desiree called them “episodes” – Liam would double over at the waist and cry in pain, like he was bent in half. It seemed like stomach spasms, but none of the GI treatments doctors tried eased his symptoms. Then Liam’s neurologist saw a video of an episode and recognized the problem right away. 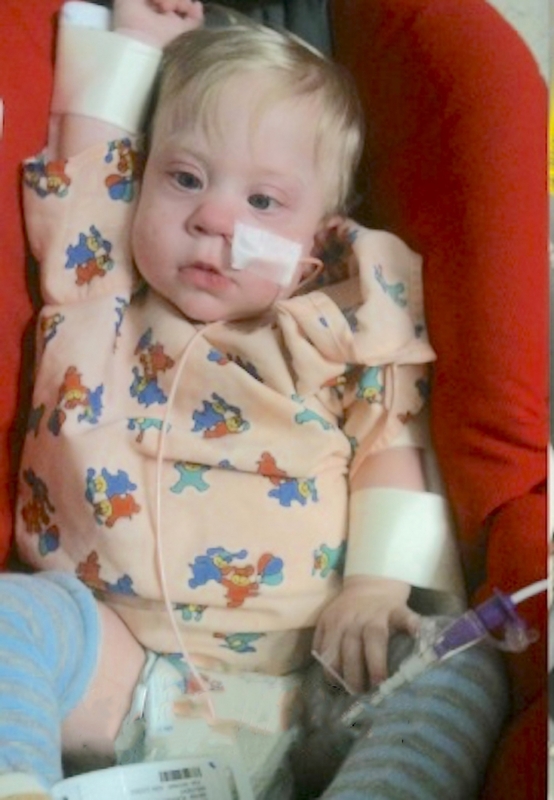 An emergency EEG confirmed his suspicions: Liam was experiencing infantile spasms, and the cause was West syndrome. West syndrome is a rare genetic disorder that affects mostly males, one in every couple thousand births. 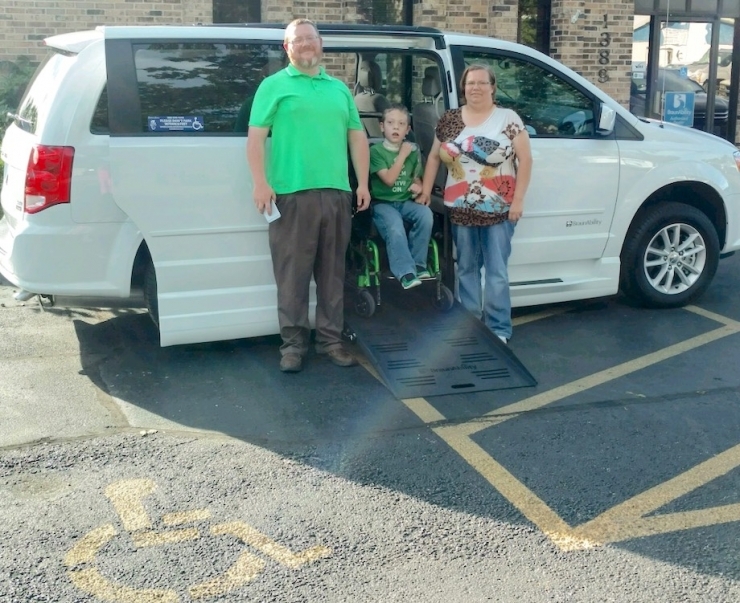 Because Chive Charities makes a point to help the underdogs battling illnesses most people have never heard about, Liam and his family are the proud recipients of a brand new wheelchair-accessible van, the 80th vehicle we’ve granted since we started this crazy ride in 2012. That right there is a reason to celebrate! And a great reason to become a monthly Green Fund donor right now if you’d like to make vans 81 and up a possibility. Ten-month-old babies are surprisingly fun and capable little humans. On the average, they’re sitting up, crawling, babbling, maybe saying a real word or two. Liam was doing all those things, but when the infantile spasms hit, he stopped. All of it. 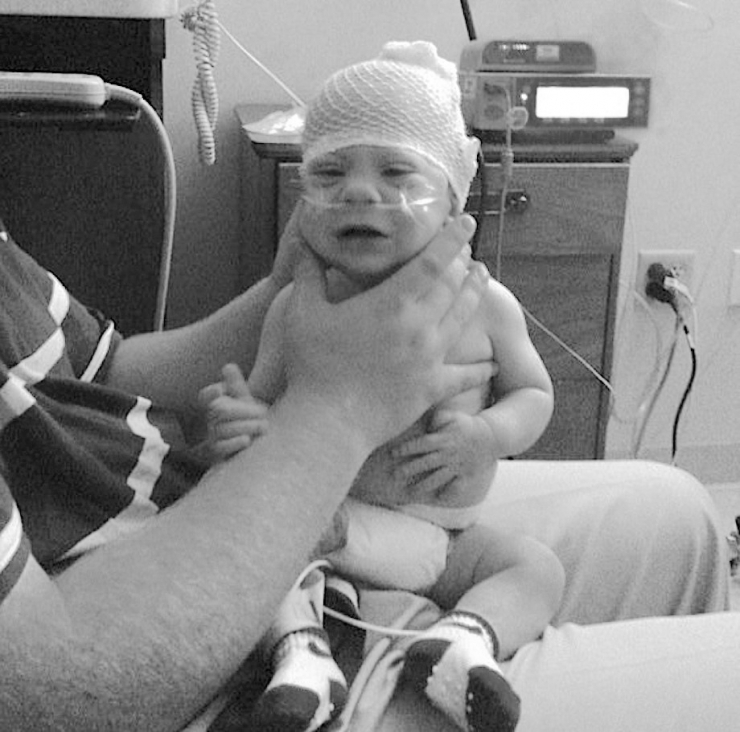 He went from happy and easygoing to grumpy and sickly, and he didn’t smile for 12 weeks. You and I both know Liam’s doing O.K. now, but for a few years after his diagnosis, the prognosis was very bleak. He would hit his milestones, then get sick and lose them again. One step forward, two steps back. Doctors suspected an underlying, progressive neuromuscular condition might be in play, but genetic testing didn’t reveal any significant deviations. 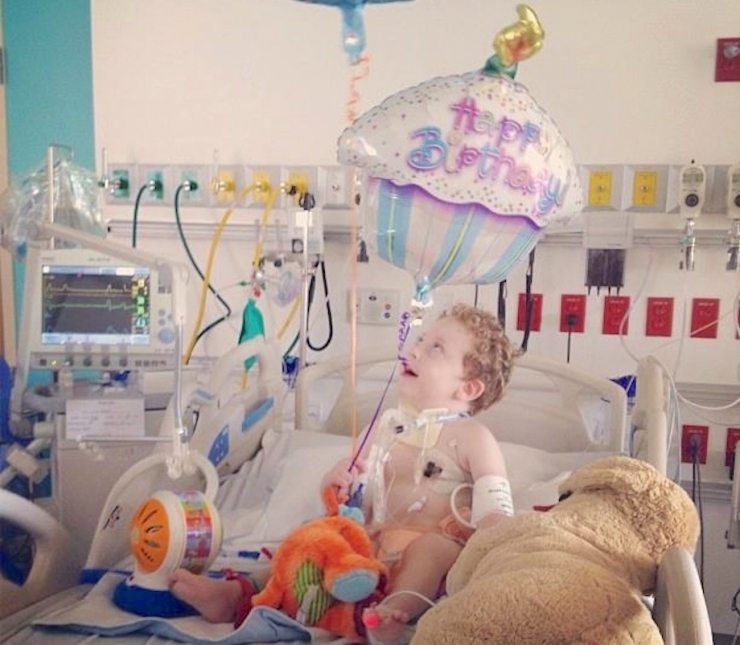 By age three, Liam had been hospitalized a whole lot, for respiratory illnesses and surgical procedures, and he was completely dependent on a ventilator. 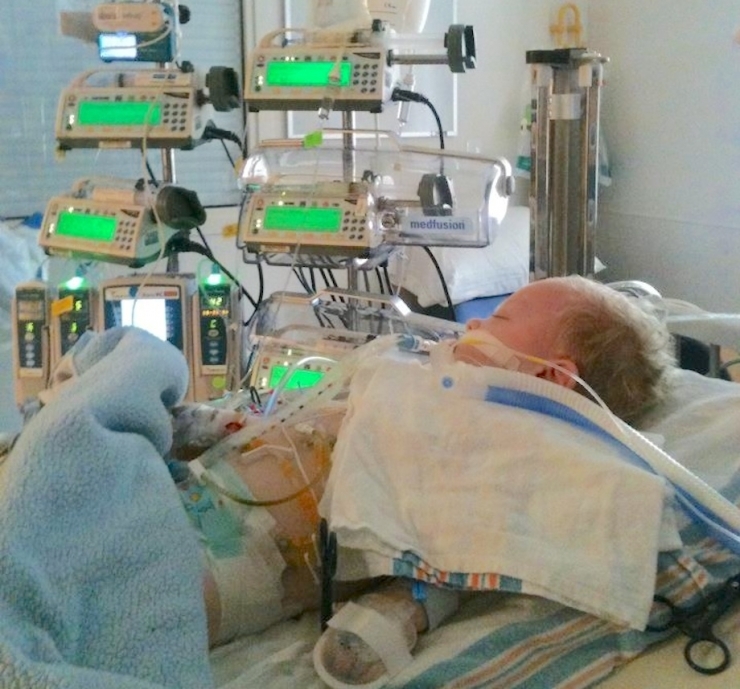 Doctors prepared his family for the possibility he may not survive. Don’t you love it when the good guys win? Things started turning around for Liam. 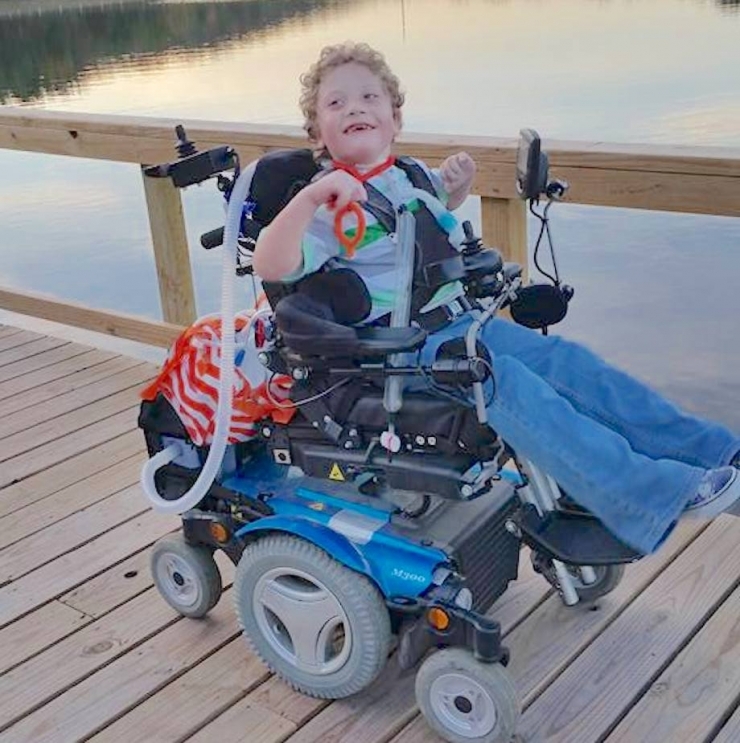 Those first five years were overwhelmingly spent in a hospital bed, but since then, Liam’s been blazing trails in so many ways. 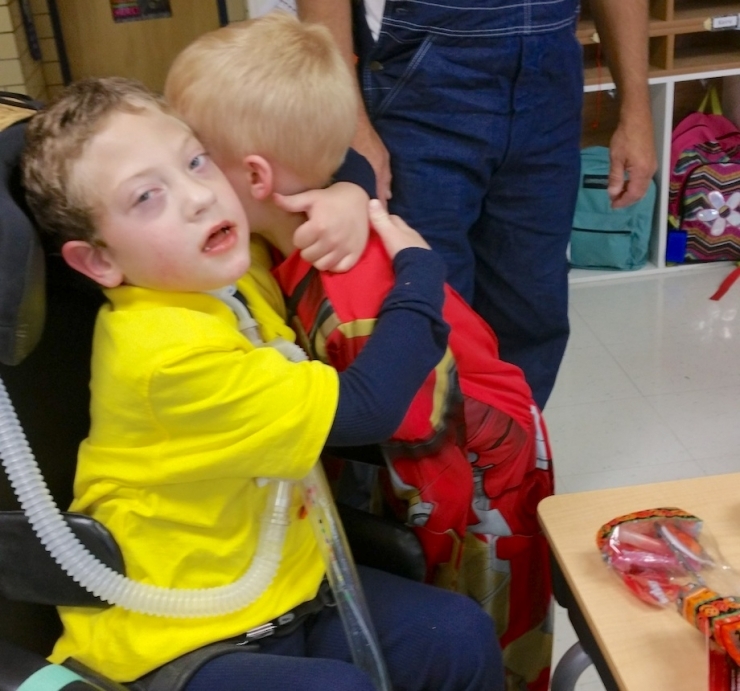 Desiree told us about Liam initially being placed in Missouri’s school for severely disabled children, but administrators soon realized he would grow and thrive better in a traditional school. 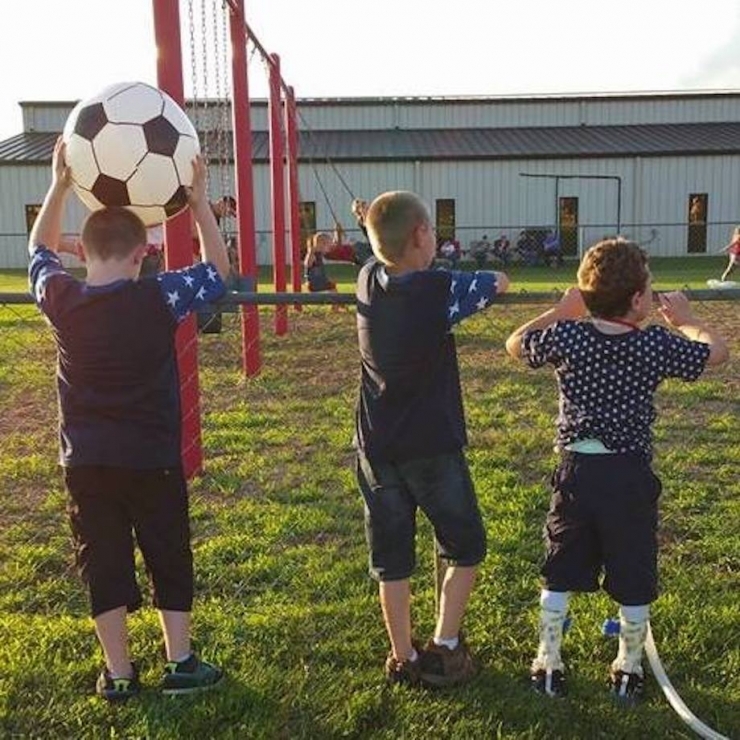 He transferred to his local school’s inclusion class, where kids of all abilities learn so much from each other. She told us about Liam’s fiery attitude, how he gets just as feisty as his brothers and has no problem copping a ‘tude when he doesn’t get his way. Then we started talking about Boy Scouts. The whole family is into it, and Liam’s been along for the ride his whole life. But his abilities are different from most of the scouts - he’s got that ventilator, for one thing, and needs a walker or stroller to get around. He really just wants to GO and DO like his brothers and the other scouts in his pack. Archery, shooting BB guns, swimming, and fishing at camp are his faves. His parents are doing their best to make it all happen. “We have a saying in our pack,” Desiree told us, laughing. “If our family can camp, anyone can camp.” But it’s a challenge. 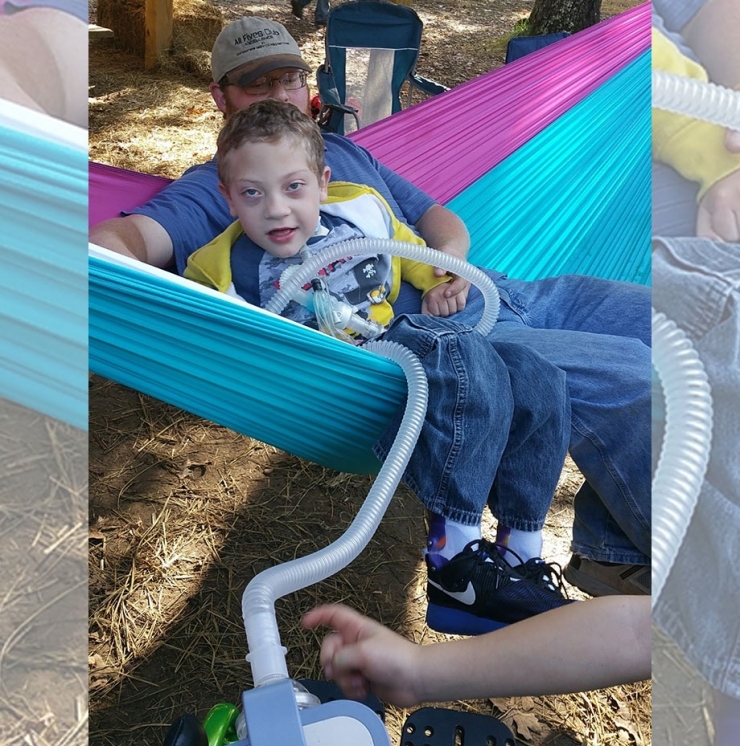 Liam is 100% tied to a ventilator, remember, and he has medical needs that would normally hold him back from camping. Instead, his family packs extra batteries and makes sure his equipment is charged up before they set out on their adventures. And there’s that whole mobility issue, which makes roughing it, well, rough. 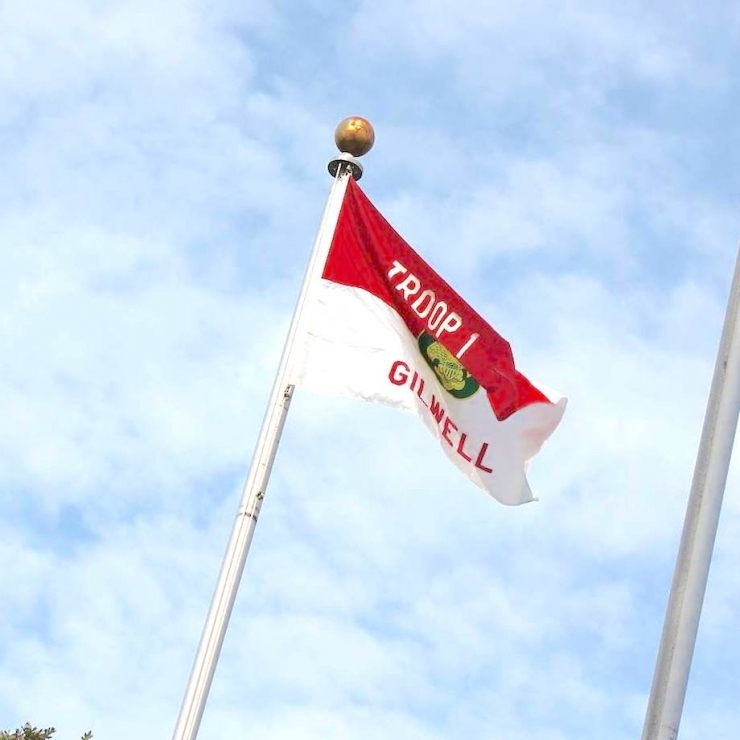 “It’s an 80-year-old camp,” Desiree pointed out. 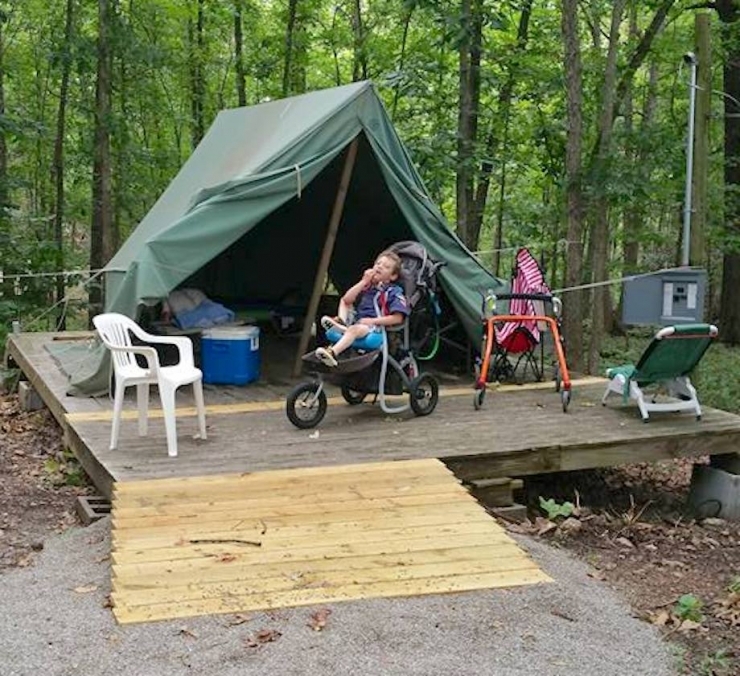 “But now they’re working on renovations to make it accessible for kids like Liam.” You could hear the pride in her voice; it takes advocates like her to ignite the spark in trailblazers like Liam, who then go on to change the world. Liam does have an electric wheelchair, which is super useful, but it’s so big and bulky, getting it out of the house is a monumental effort. Sometimes that means they skip activities Liam would really like to do. Boy, would we hate for him to miss a moment. 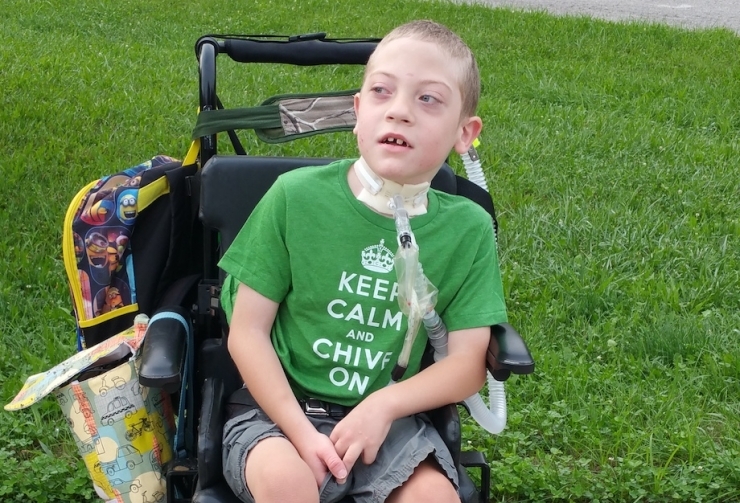 Well done, Chivers. Another life made at least 10% happier thanks to your support. 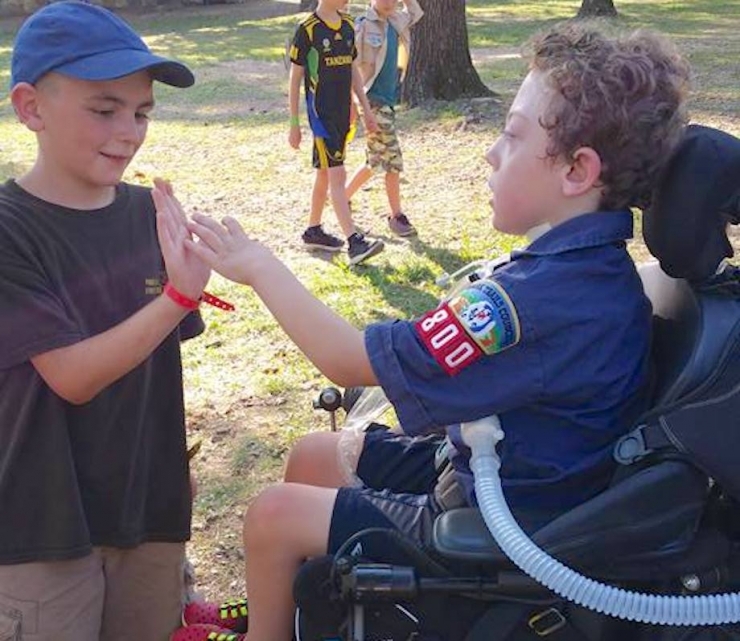 We’d love even more of you to join the superheroes making kids like Liam the trailblazers they were meant to be, so click right HERE to learn more and join the crusade. 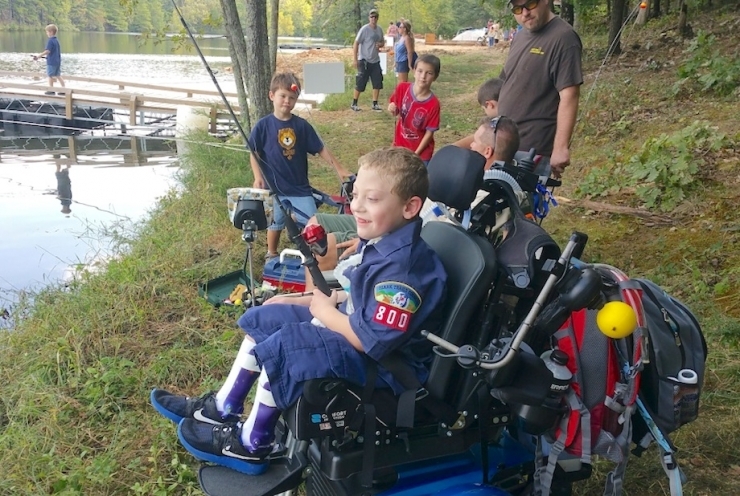 Shout-out to our partners at BraunAbility for making our 80th vehicle grant possible, and for leading the charge in mobility for all.